Wireless Electricity? We’re in the future. 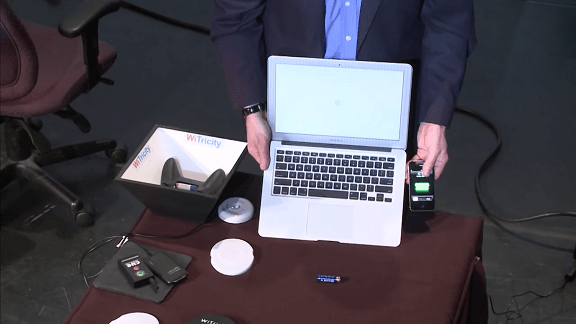 Wireless electricity is changing the energy game! It smells like , looks like and sounds like an answer to our transmission of electrical energy across large distances has been solved in spades. How long before this starts to revolutionize our world? According to Eric Giler of Witricity: 2 years. Wireless charging laptops will be able to charge your phone and batteries will never again need to be replaced. Wireless power means they charge while in use and future devices won’t need batteries at all and we’ll save the money we would’ve spent on them …which is staggering. come together I think the entire transportation industry will revolutionize overnight. Entire cities powered by the roads, and witricity wirelessly charging the cars that drive on them. Electricity produced locally & transported safely, efficiently, sustainably. We’ll be able to be begin putting out the fires of the fossil fuels we’ve been burning and enlighten our path to a better future.